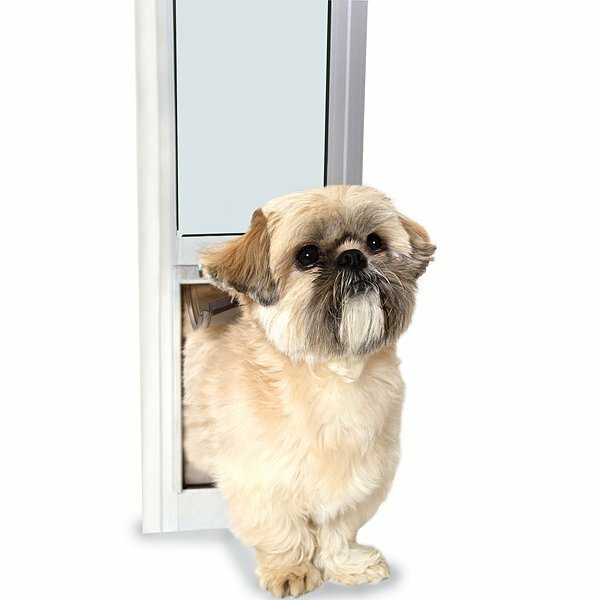 The Best and Easiest to Install Patio Pet Door Available! 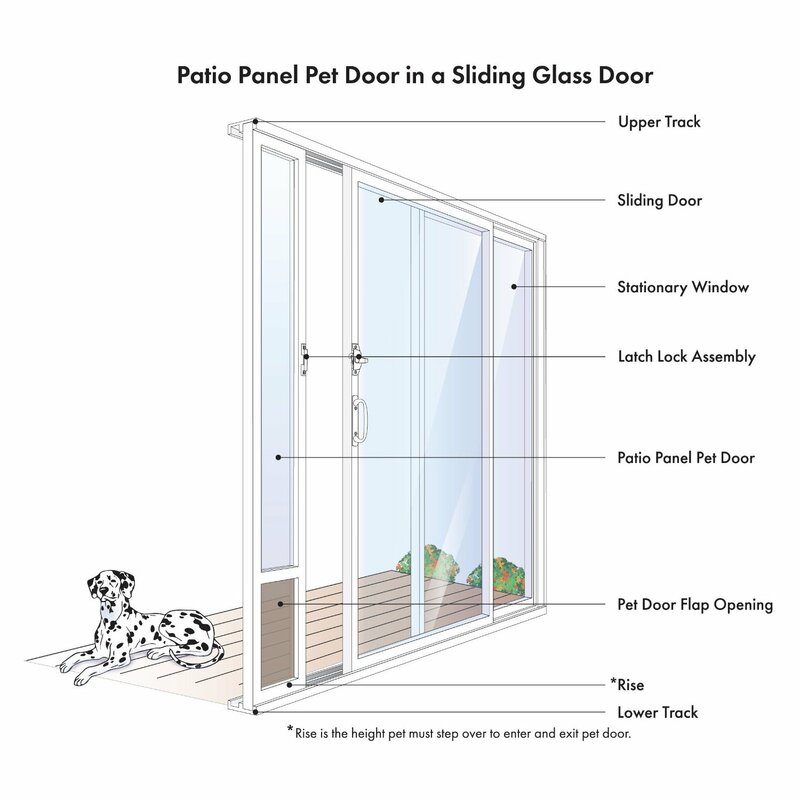 Freedom Patio Panel Pet Doors for patio doors up to 96 inches allow your pet to come and go as he pleases through your sliding glass door. These doors are beautifully designed to keep in the heat and keep out the cold weather. 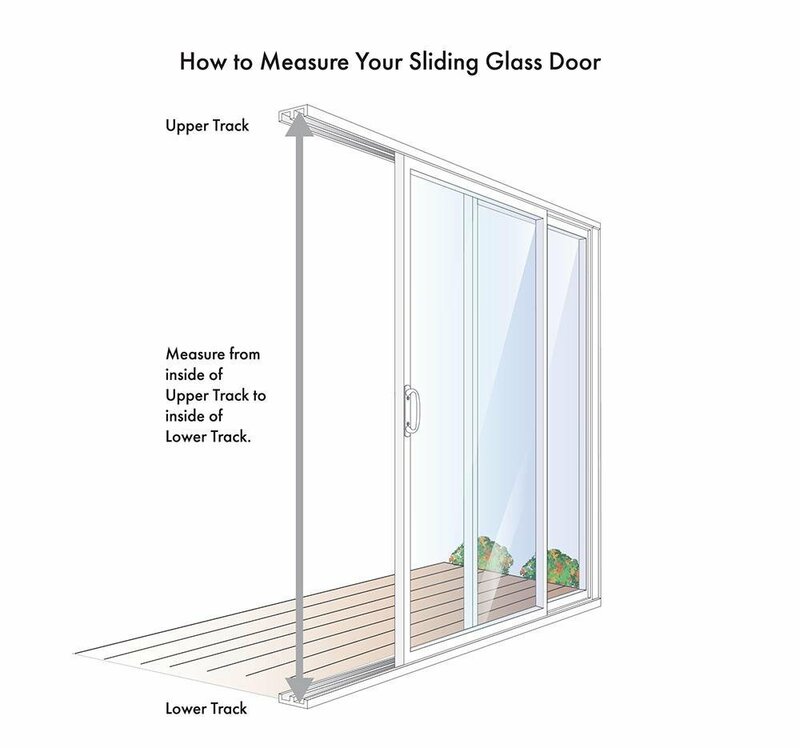 The spring-loaded patio pet door panel inserts into the frame of your sliding glass door and automatically adjusts to the proper height. Multiple ceramic magnets ensure that the flap always closes completely, which prevents a cold draft from coming inside your house. 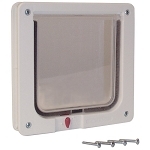 For times when you want to restrict your pet's use both inside and out, the panel can be locked. 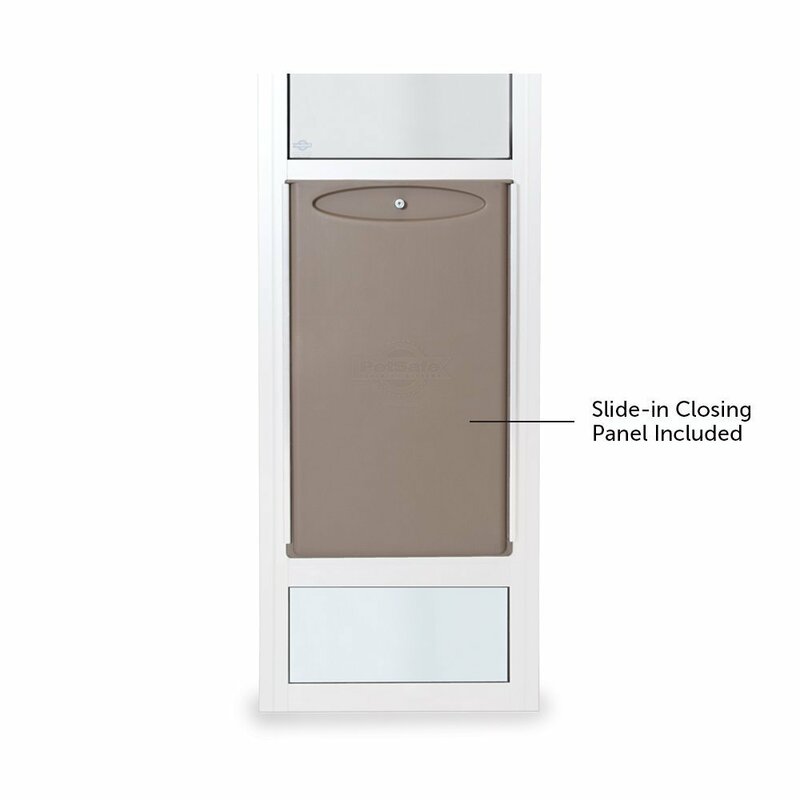 Plus, for added security, these patio panel dog doors feature a reversible lock for left or right sliding doors. 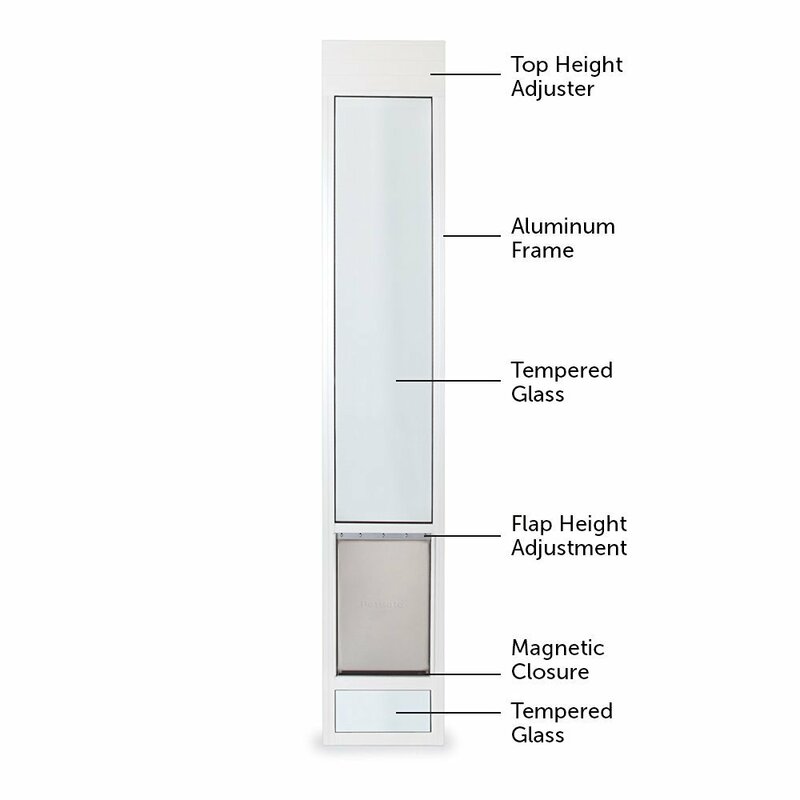 This panel fits sliding glass door frame openings ranging from 93" to 96" for tall patio doors. 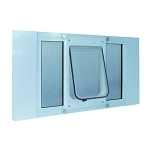 The 93"- 96" panels are available in white only. These doors feature a heavy-duty aluminum construction and shatter-resistant, tempered safety glass. They're also equipped with the energy-conserving UltraSeal flexible flap system designed to keep the heat and cold outdoors. After trying several options, this door was perfect. Easy to install, looks great, and fits our tall sliding glass door. We recently renovated the apartment building we own, and it is small pet friendly. We liked these pet doors for patios the best. These installed well and are a great quality! We only had a few to put in,so we were happy with the price. The flap stays closed, and it looks nice on the patio door. We are happy with these! I didn't think my six year old basset hound would use this. Did not have a doggy door until I found this one. Took a few tries to get her to use the dog door because we use the sliding glass door. But she finally got it and uses it fine. Love not having to get up and let her out. It is so convenient having one of these patio pet doors in my condo. It is nice for my pet to be able to go in and out easily,no bother to me! Simple to install and high quality! This door is wonderful for our cat. Picked up the large and did hire someone to complete the installation so door is good fit, secure, no air leaking through. Our cat now has the freedom to enjoy time outside day or night. Great quality for the money. Q: I noticed that the picture shows this door in a middle opening sliding door. Mine splits in the middle. I'm assuming this would work for mine as well? The Patio Doors are designed to fit left or right sliding glass doors. The pet door needs to be mounted to the frame at the side for security. These are not designed for a door that opens in the middle. Q: From the picks I can't tell if there is a panel under the actual dog door or if door is all the way at bottom. Couple little chihuahuas that may have trouble getting over i? Yes, it is called 'the rise' and it varies depending on the size of the door. 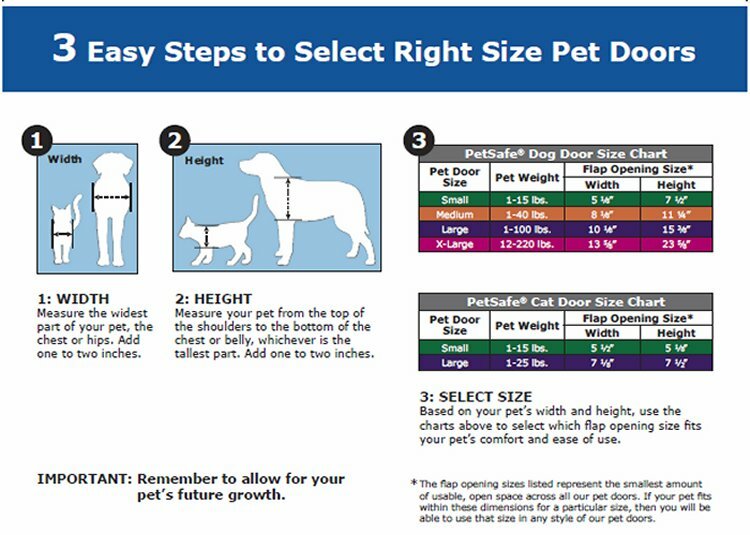 There is a chart in the product description that gives, in inches, the rise. The lowest is a Medium size door and the rise is 1 3/4". Q: Is the glass dual or single paned? 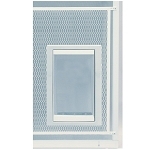 The Freedom Patio Panel Pet Doors are single pane tempered glass.